This has already been an exciting NFL season as we have seen some upsets making for some big wins for the smarter bettor. Week 3 promises to be just as exciting and this is why it pays to have some information that helps to make you a winner this week. A lot of questions are going to be answered this week, including who is the best team in Los Angeles and are the Broncos really worthy of calling themselves undefeated. Plus, the New England Patriots look to rebound against their former defensive coordinator turned head coach of the Detroit Lions. These are some exciting matchups, and here are five games you will want to examine more closely. The Denver Broncos are 2-0 this season but are 0-1-1 against the spread at this point. They look like a good team to stick with because they have won two hard-fought contests, downing the Oakland Raiders and defeating the Seattle Seahawks. Those are impressive wins, but many wonder if they are a mirage as the team won by a total of four points. After all, Denver won at home against Seattle by just three in a game where they were not exactly inspiring. They then defeated the Raiders by a single point, downing a team that is trying to establish some kind of identity behind the return of head coach Jon Gruden. The Ravens crushed Buffalo in the first week of the season, 47-3 before losing a hard fought battle to a very good Cincinnati Bengals last week. A number to pay attention to is that the favorite is 6-1 ATS in the last seven contests between these two teams. Also, the Broncos are 1-5 ATS in their last six games in Baltimore. That seems to make the Ravens a good choice even at a 5.5 point favorite. The Chargers enter the game 1-1 while the Rams are 2-0. Both teams match their record against the spread this season, as the Chargers are 1-1 and the Rams are 2-0. The Los Angeles Rams are a seven-point favorite and that comes from the fact that they are a top team that has been manhandling opponents this season. The Rams have allowed just 13 points this season, defeating the Raiders 33-13 before crushing the Cardinals last week 34-0. The Chargers are going to be depleted with the loss of Joey Bosa, and they already had an uphill battle long before the injury. The Rams are making a real case to be the NFC representative in the NFL Super Bowl. The Chargers have been woeful in the month of September, going 1-4-1 in their last six ATS. They are also 1-6-1 in their last eight Week 3 games. We don’t focus on the spread as much as the total which is set at 48. The total has gone over in four of the last five battles between these two teams. You also have to like that the Rams have gone over in seven of their last eight games where they allowed less than 90 yards rushing in their previous contest. It would not be surprising to see the Rams scored 40 on their own. The Lions have long been known as an explosive NFL football team offensively that has far too many shortcomings on defense. They bring in former New England Patriots defensive coordinator Matt Patricia in looked much better in Week 2, falling at San Francisco, 30-27. However, Detroit has looked mediocre on offense. The offensive line is struggling, and they cannot make holes for this running game, earning only 69 yards rushing last week. Matthew Stafford has completed nearly 62 percent of his passes and has four touchdowns, but he also has four interceptions and those turn into touchdowns when you face the Patriots. 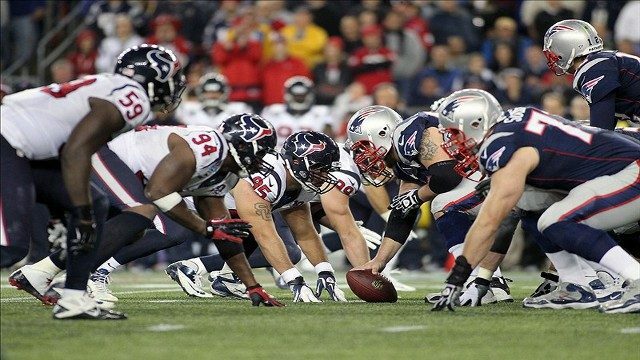 New England is 1-1 (1-1 ATS) and they are not setting the NFL on fire defensively either. However, they have Tom Brady, and he is still putting up points, throwing at least two touchdowns in a game in nine of his last 13 starts. The addition of Josh Gordon only makes him more formidable and that should make the 6.5 points the Patriots are expected to win by an almost lock. Consider one more stat. In the 18 games where Bill Belichick has faced a former assistant, the Patriots are 12-6 and are 11-7 ATS. It should be a real nightmare for Detroit. The Cowboys come to Seattle with the Seahawks reeling at 0-2 (0-1-1 ATS). They lost their first two games of the season, both road losses, despite the fact that Russell Wilson has played well, throwing for 524 yards and 5 touchdowns. Unfortunately, he is the whole offense right now. The running game has produced just 138 total yards rushing, while the defense is giving up 25.5 points per game. Dallas is 1-1 after defeating the Giants last week. The Dallas defense looked especially good last week, with the only touchdown against them coming late. Overall, the Cowboys are allowing on average 14.5 points per game while running back Ezekiel Elliot is starting to warm up. Overall, Dallas ran for 147 yards and two touchdowns last week. Dallas leads the all-time series, 10-7, between these two teams. Plus, they are 4-1 against the spread in their last five trips to Seattle and are 5-0 in the last five meetings between these two teams against the spread when they are the underdog. Those numbers bode well for Dallas. However, it is the total we focus on here. Neither of these teams is putting together a particularly impressive offensive showcase, as neither Wilson or Dallas quarterback Dak Prescott has much in the way of weapons. The total in this game is 41.5 and it is likely that this is the much smarter wager. The game on Monday Night Football should be an exciting one, as the 0-1-1 Pittsburgh Steelers (0-2-0 ATS) take on the 2-0 Tampa Bay Buccaneers (2-0 ATS). Pittsburgh is off to a tough start and they have been hearing the criticism from the media, meaning that they are likely to come in with a bit of a chip on their shoulder. Meanwhile, Tampa Bay is playing above their heads behind quarterback Ryan Fitzpatrick. They have beaten New Orleans and Philadelphia, winning by eight over the Saints and by six over the Eagles. They have done this behind the impressive play of Fitzgerald, but those kind of numbers are going to be hard to replicate against a Steelers offense that is putting up a lot of points of their own. Pittsburgh holds the all-time record between these two teams at 8-2 and they are 4-1 ATS in the last five meetings between the two. Most believe the Tampa Bay is the smart pick as the 1.5 point underdog, but Pittsburgh is simply too good to be playing this bad any longer.